I have been waiting for this and you or someone close to you have probably been waiting for this too! Yes, finally, the final version of the Expanded Maternity Leave Bill has been approved by the representatives of the Senate and House of Representatives (HOR) in the Bicameral Conference Committee on October 1, 2018. The Expanded Maternity Leave Bill is not yet a law, but once President Duterte approves it, the benefits of this law will soon be implemented and will be enjoyed by many pregnant women. So, what’s NEW with the Expanded Maternity Leave Bill? To make it easier for you to understand what this Expanded Maternity Leave is all about, we’ll share with you the before and after of maternity leave policies. In other words, we’ll discuss the changes that will happen once this law is implemented. 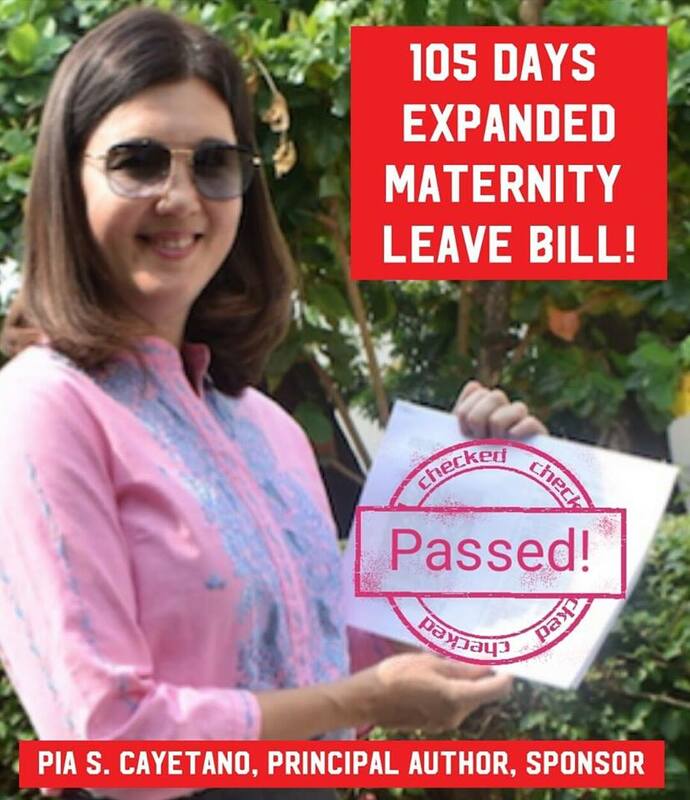 From the current 60 days of paid maternity leave (for normal delivery) and 72 paid maternity leave days (for C-Section delivery), it will be 105 paid maternity leave days once the Expanded Maternity Leave becomes a LAW. With the current law, pregnant women or new moms can only claim the maternity leave benefit for only up to 4 instances of pregnancy or miscarriage. Once the new law is implemented, maternity leave will now apply to every pregnancy, abortion or miscarriage, or stillbirth, regardless of marital status. Paternity Leave Act of 1996 (Republic Act No. 8187) only provides 7 days of paternity leave, which can only be claimed by new fathers who are married and is living with the new mom and newborn. The new expanded maternity leave bill, on the other hand, allows 7 days from the 105 paid leave credits (of the mom) to be transferred to the new dad. This is regardless if they are married or living in the same home. If the mom needs more time to care for herself and/or her baby, she would be allowed to apply for a 30-day Leave Extension Without Pay. Just make sure to submit a written notice to your employer early on or before the 105 days leave ends. Once the Maternity Leave Law is approve, single moms will be entitled to 15 additional paid maternity leave days, on top of her solo parent leave credits. These are just some of the changes that we expect to be implemented once the Expanded Maternity Leave Bills finally becomes a law. Let’s wait for President Duterte’s approval and we will update this post once the approved final version of the law has been released. How much can you expect from your SSS Maternity Benefit?